by Adrienne R. Benton, President & CEO, Onyx Spectrum Technology, Inc.
Buying a classic car can be an exciting undertaking but having purchased one, an owner may have to go to great lengths to maintain it. When a mechanical or electrical part on the vehicle fails, the owner will be faced with sourcing a part which may no longer be available from the original equipment supplier. Even if a new, or refurbished part can be found, an individual with appropriate legacy knowledge and expertise may also needed to fit the part to the vehicle. While preserving a classic vehicle may be a challenging enough task for a single individual, repairing, refurbishing and maintaining legacy Commercial-Off-The-Shelf (COTS)-based computer systems for customers in the commercial, government and military marketplaces is considerably more complex. Indeed, such an enterprise requires the expertise of a company trained in the art. While COTS systems have provided many financial benefits over proprietary computer hardware architectures, the short life cycles of commercially available hardware has frustrated many companies who developed systems required to be in service for decades. Hence, once they become more “classic” than “state of the art”, the support of an organization well versed in the legacy computer business is required to ensure that the systems remain operational for as long as is necessary. COTS products produced by OEMs reach the end of their Product Life Cycle for technical and/or commercial reasons. One OEM, for example, may have found that the shipment volume no longer justifies their production, while another that advancements in hardware have enabled it to upgrade products using more sophisticated components. Alternatively, an OEM may have decided to discontinue the product line, either due to a strategic change in direction, a company takeover or a buyout. The end-of-life process itself consists of a series of landmarks that, once completed, make a product obsolete. Once obsolete, the product is no longer manufactured, sold, improved, repaired, maintained, or supported by the original OEM developer. As a rule, when an OEM does decide to end the life of a product line, it does so in stages. The customers of the OEM are usually provided with details of each of these so that they can put programs in place such that their organizations are affected as little as possible. The end-of-sale date is usually the last day that any product can be ordered from the OEM. However, for a number of years after the end-of-sale deadline, the OEM may provide technical assistance to support issues with both hardware and software. Spares or replacement parts, however, are usually only available for a fixed period from the end-of-sale date. Although customers would be wise to take advantage of the limited time they have left to make such purchases, in reality many do not. After the last-date-of-support, an OEM may not provide any more support unless the customer signs a maintenance renewal contract with the company. However, once a particular OEM product has reached the End-Of-Life, customers of the OEM who do not necessarily wish to purchase new system hardware and/or software from the vendor do have an option. They can elect to partner with an independent company that can supply them with the components, board level products, software and support they require to extend the lifetime of their equipment. By forming a relationship with such a company, system integrators that had built their systems from off-the-shelf COTS hardware and software can be assured they will continue to deliver legacy systems to their customers. Partnering with such an end-of-life value added distributor and delegating the burden of sourcing parts, maintaining and repairing systems, the systems integrator can be assured that the critical infrastructure required to continue delivering systems to its own customers will be maintained. An end of life distributor can perform one or more functions, depending on the requirements of its customer. Acting as a shadow OEM, such a company can source individual components and manufacture and supply legacy custom or industry standard bus compatible board level products and systems, in addition to testing those products prior to shipment. Left to their own devices, the customer may not have the necessary resources or be able to justify the effort and expense needed to perform such duties alone. However, by working with an end of life distributor, a customer can create a strategic game plan that will ensure that his needs are met. For their part, such end-of-life distributors will have a network of resources at their disposal they can call upon to perform specialty operations that are required. In consulting with such an end-of-life distributor, OEM customers can assess the cost implications of maintaining the product and discuss the variety of options that may be available to enable them. Recognizing that they no longer wish to support their products once they have ended the life of their product line, some legacy OEMs have formed partnerships with end of life distributors. Shearwater EM, a division of Onyx Spectrum Technology, for example, has partnered with both Sonus Networks and Datacube to provide continued hardware and technical assistance support for their customers. Through these arrangements, Shearwater EM has become the exclusive end-of-life distributor for replacement parts and support services for older Sonus and Datacube OEM equipment. However, many other OEMs may not have made such formal agreements with an end of life distributor. In such cases, an end of life distributor may provide end-of-life support depending upon the expertise and experience that it has gleaned in dealing with such systems in the past. The formation of such alliances undoubtedly relieves the customer of OEM products from the financial and commercial headaches of maintaining such systems in house. To do so would be an expensive proposition, requiring a team of individuals versed in the art of sourcing components, assembling and testing systems – areas of expertise best left to the end-of-life distributor. Sourcing individual component parts for legacy systems can be time consuming and difficult. The availability of active and the passive components of products may still be available from distributors. If they are not, then the end-of-life value added distributor may need to turn to the secondary or broker market to source the part. Some parts are more difficult to source than others. Active parts such as legacy microprocessors, custom FPGAs and simple TTL logic can be difficult to source, but so too can passive parts designed to meet the high tolerances demanded in military COTS systems. The lack of availability of these could potentially become a roadblock to repairs, but with the professional insight from an end-of-life distributor, many such issues can be overcome. In some instances, when acquiring a single component may be difficult, sourcing many may still be viable. Depending upon the level of demand from the customer and the critical nature of the component, the customer may entertain covering the cost of buying extra quantities of products simply because one single product is so critical to the design. Price sensitivity will vary, according to the product that needs to be maintained or repaired and only though a detailed discussion with the end-of-life distributor can this be ascertained. Some legacy systems are based around interchangeable standard bus structures such as the VME bus or the PCI bus while others are based on proprietary architectures. To maintain a legacy system, the end-of-life distributor may need to build such a board. To do so, an assembly house first needs to be identified that can build the board to the same specification as the existing system. This is a relatively straightforward procedure, since one-off prototypes and small batches can be sourced in a range of material thicknesses, copper weights and surface finishes. Once purchased, the end of life distributor would bring the PCBs in house, and together with both active and passive components previously sourced, create a package that is then delivered to an assembly house. Once assembled, the boards are shipped back where they are tested and inspected prior to shipment. In certain instances, the availability of certain parts may mean that the board will need to be redesigned. If an original board was built using plated-through hole (PTH) technology, for example, the lack of availability of through hole parts may call for the board to be redesigned using more contemporary surface mount equivalents. If the commercial and financial considerations justified this, then the end of life distributor could also outsource the redesign and manufacture of the board. Aside from delivering new products to its customer, the end-of-life distributor can play an important role in repairing them. In the low quantities of products often demanded by customers, repairing products can prove a cost-effective alternative. Repairing older products can be equally as challenging however, since the end-of-life distributor must call upon its network of sources to procure the parts required and engage with those with the necessary expertise in repair work. Previous customers of both Datacube and Network Equipment Technology have already seen the benefits of the end of life support offered to them by end-of-life distributor Shearwater EM. Datacube, a company formed in the mid 1970s, produced a range of image processing boards eventually rendered somewhat obsolete by high-speed multiprocessor systems. For its part, Network Equipment Technology produced a range of fault tolerant computer systems targeted at the communications marketplace. 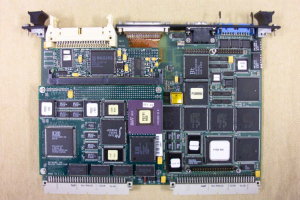 In the early stages of its life, Datacube produced a number of VME boards dubbed MaxVideo that worked in consort to process and display images. Until 1996, the MaxVideo line had been entirely VMEbus based, but with the popularity of PCI-bus based Pentium-based personal computers, PCI versions of MaxVideo were developed. Initially, Shearwater acquired the rights to maintain end-of-life support for the VME product line, but since then has also acquired the PCI bus line. Lockheed Martin was one early adopter of the MaxVideo product line, employing the COTS Datacube PCI MaxVideo imaging cards in a subsystem that formed part of a larger Electro-Optical Test Set (EOTS) to align the navigation and targeting pods on military aircraft. Since acquiring the Datacube product line, Shearwater has supported the company, by servicing the original MaxVideo product line, and through certifying to the Department of Defense (DoD) that the product can be maintained. For its part, Network Equipment Technology (NET) was the original developer of a series of fault tolerant computer-based communication systems. Dubbed the Promina, the rack mounted systems were supplied in a variety of different sizes according to performance and capabilities. When NET was purchased by Sonus Networks, a strategic change in direction for the company resulted in a decision to end the support for the product. To ensure that its customers would still be supported, Sonus formed an agreement with Shearwater EM to be the exclusive end-of-life distributor for Sonus Promina replacement parts and support services. As part of the deal, Shearwater agreed to provide Sonus authorized Promina repair services and Level 1, 2 and 3 Technical Assistance Center support. Such levels of support enable the company to determine any issues that a previous Sonus customer may encounter by determining any underlying problems, as well as providing more in-depth support to handle more advanced technical issues. When OEMs do decide to end the life of their products, their customers – the system builders who are delivering products into the military and government — are faced with the dilemma of how to support their existing end-user customer base. In some instances, the end users themselves may also find it more financially advantageous to seek out the expertise of a company engaged in end-of-life support, rather than from the system builders who may charge a premium for the service. Undoubtedly, the rapid changes in technology will further the need for companies such as Shearwater EM to provide services that shadow those once provided by OEMs. Companies making such provisions will ensure that the transition from legacy system to newer state-of-the-art systems is made considerably easier. Using the original intellectual property provided by OEM partners, a shadow OEM can continue to manufacture and repair COTS embedded systems to extend their lifetime. Figure 1: The Datacube MaxVideo product line, built around both the VME and PCI bus architectures, once represented the state of the art in image processing hardware. Today, end-of-life support for both the VME and PCI product lines is still provided by Shearwater. 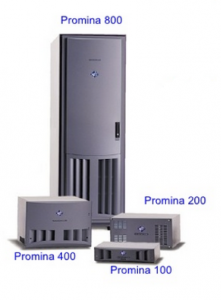 Figure 2: Originally developed by NET, the Promina series of rack mounted fault tolerant communications systems were sold to Sonus Networks. Following a decision to discontinue the product line, Shearwater EM was called upon to provide end-of-life support.